I am the Broker/Owner of Premiere Properties and Mortgage Specialists. 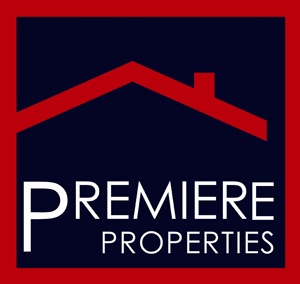 Premiere Properties is a premium brokerage serving the Tarrant and Dallas County areas. Prior to the opening of Premiere Properties PLLC I was with Re/Max for 25 years. I have an MBA from Georgia State University and have been assisting buyers and sellers with all of their real estate and mortgage needs for 25 years. In the last 3 years alone, I have closed over 40,000,000.00 in real estate transactions for clients just like you. What are you waiting for? Search Arlington and Mansfield, TX homes for sale now! You'll love what our advanced search features will do for you. When you are buying or selling property in today's market, it's important to have confidence in your real estate professional. That's why Tom Brewer's commitment as your local REALTOR® is to provide you with the specialized real estate service you deserve. Tom also owns and operate Mortgage Specialists L.L.C. and has done so for the past 17 years. Thanks to Tom, clients get appropriate advice on both sides of the real estate transaction. Please apply online if you would like and give me the opportunity to earn your real estate business. I want to be the to be the first Realtor® and Mortgage Broker To "Welcome You to the DFW area! When you're an informed buyer or seller, you'll make the best decisions for the most important purchase or sale in your lifetime. That's why my goal is to keep you informed on trends in the marketplace using the latest statistics in your local area. With property values continuing to change, real estate is still a sound investment now and in the future. I'm also a relocation specialist and have vast experience with first-time home buyers. My listings, statistically, sell in less than 60 days. You don't want to be frustrated or surprised in the home buying or selling process. Many potential pitfalls can exist. Let me alleviate all of this for you. I have over 17 years of experience in the real estate arena. I will make sure your transaction goes as it should. I will put your priorities in the forefront with this transaction. Buying real estate and selling real estate should be fun. Let me make it fun and rewarding for you and your family.